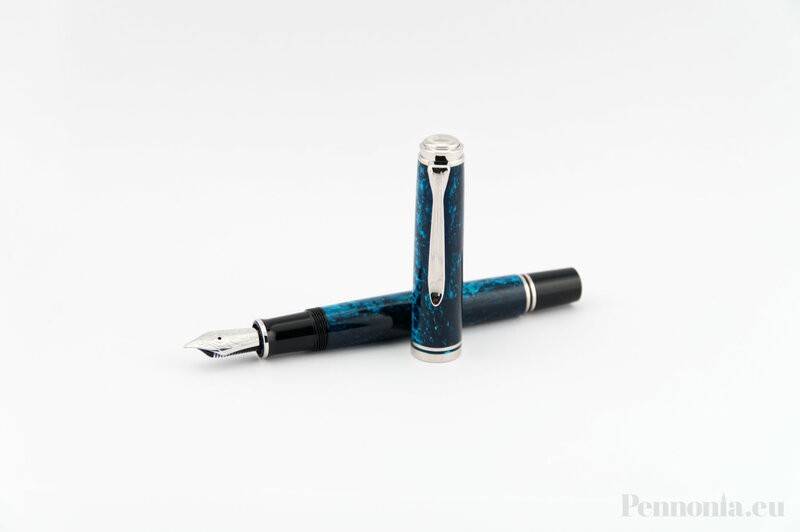 Hi and welcome to the review of the Pelikan Souveran M805 Ocean Swirl with an Medium nib. Everybody has probably heard about Pelikan pens since they are one of the oldest pen manufacturers in Europe and probably the whole world. Pelikan is known for its use of high quality materials and great craftsmanship. It’s one of the few companies which still uses cellulose acetate to create the pens not opting to change to newer plastics. The use of precious metals, cellulose, high quality plastics as well their piston filling system is a part why Pelikan pens command a premium price. Let’s dive into the review shall we!